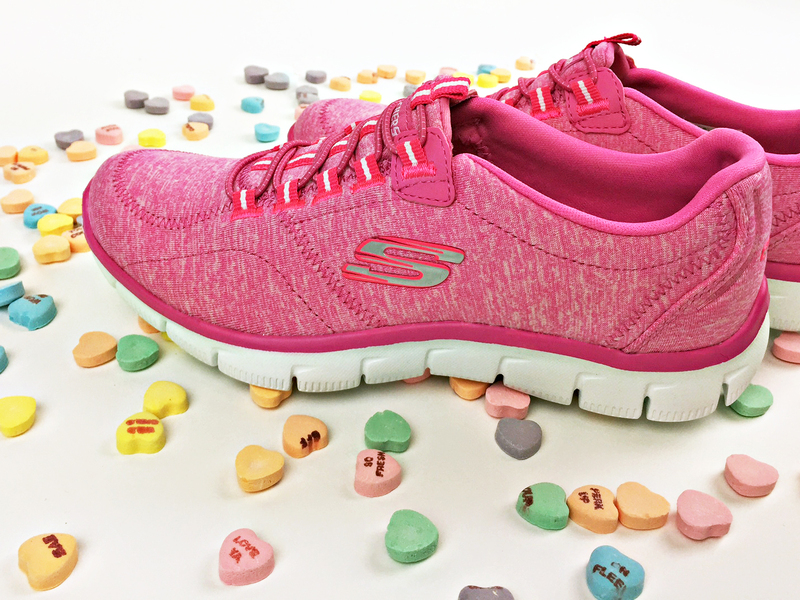 At Skechers, we’re trying to stay serious about our goals to stay fit – even as our lives are getting busier than ever! We asked Skechers yoga instructor and fitness expert Alicia Murphy for good ways to stay committed to our health goals. I’m stoked to be hanging out today at Skechers’ headquarters. 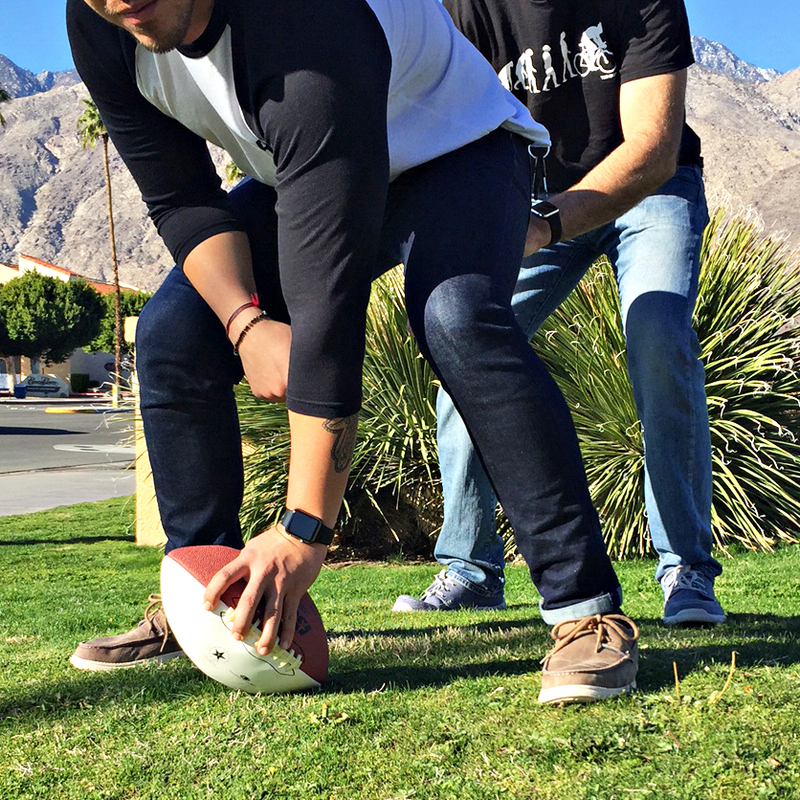 Here at Skechers’ HQ, I teach cutting-edge fitness classes to the staff, whom I lovingly call Team Skechers. 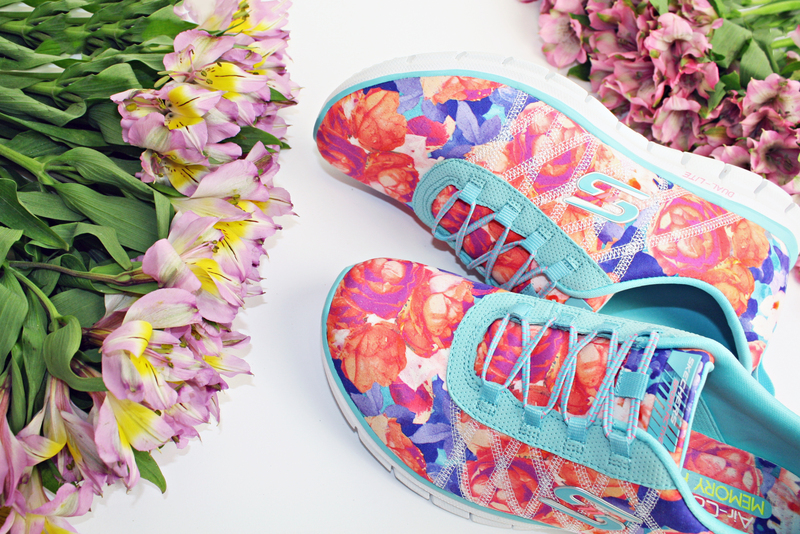 Skechers is all about a healthy lifestyle. To make that philosophy a reality at Skechers, employees have access to different types of fitness classes. There’s yoga, interval training, strength training, corrective exercise, running… a little something for everyone. Outside of teaching classes at Skechers HQ I also work with clients through my company Stress Monkee. I’ve helped people reach their fitness goals, and let me tell you: what usually keeps most people from sticking to their goals? Plain and simple, too much stress! We have a ton on our “To-Do” list, which often overwhelms us. This extra distress is a real bummer when you’re working on making changes or forming new habits. #1 Keep it Simple, Sweetie – Even the best plan or program won’t work if you can’t stick to it. Here’s the simple truth: if you want to achieve your fitness goals, the secret is consistency. When we decide we want to make a change, it can be really hard to embrace the process. We want those results now, dang-it! But trying to take on too much too soon will only overwhelm, and you’ll be more likely to throw in the towel. Give this a try: Make it so simple you can’t say no. What’s the outcome you want? Pick ONE small thing that will take you closer to reaching that goal. For example, want to fit back into your favorite jeans? Commit to walking for 5-10 minutes every single day. After a few weeks, you can kick it up a notch – maybe 15 minutes every day. Focus on staying consistent. Make it more likely that you’ll stick with it by being super comfy & looking ah-mazing during your workouts. 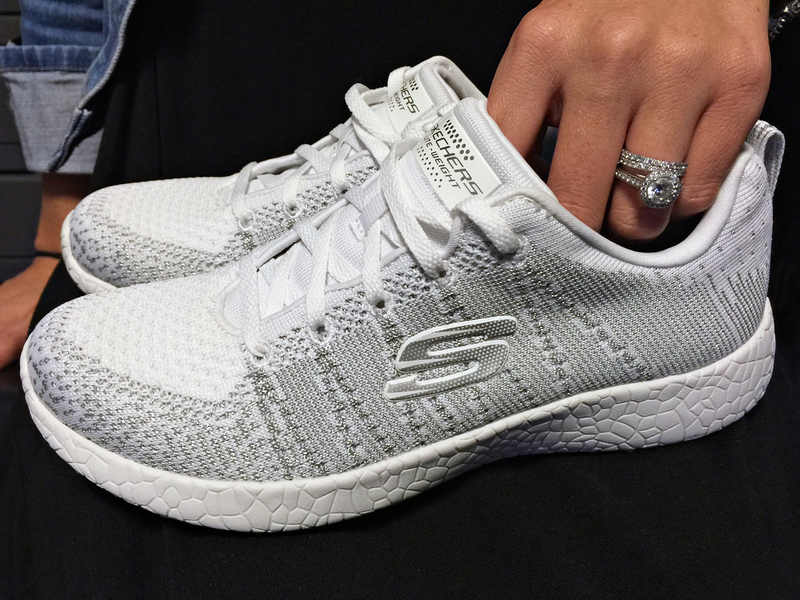 I am in love with my new Skechers Sport sneakers; these shoes have Skechers Air-Cooled Memory Foam that literally contours to your foot. It’s like walking on little pillows of air. Sweet! #2 A Stumble May Prevent a Fall – Make this English Proverb one of your “go-to” mantras; it will transform you. Let’s face it, there are going to be obstacles on your journey to reaching your goals. The worst thing you can do when you have a slip-up is to beat yourself up and fill your head with guilt. Research is revealing one of the best ways to create lasting change is to talk to yourself like you would a good friend. #3 You CANNOT Out-Train a Poor Diet – Let me repeat that in case you’re not grasping the importance of this one: you cannot out-train a poor diet! Overly processed food makes it harder for your body to handle stress AND it also causes your body to store excess fat. No bueno. I cannot emphasize enough the importance of eating whole, nutrient-dense foods. In a sentence: Stop counting calories and instead, focus on how many nutrients are in your food. Give this a try: I’m making a delicious cocktail here by blending tips #1 & #3. We’re going to keep it simple + consistent with a focus on nutrition. Switch out some of the starchy carbs in your diet for nutrition-packed veggies. Drop some of the pasta, bread, cereal & chips. Throw in vegetables like broccoli, sweet potato, asparagus & dark green lettuce. Wowza! You’ll see your health and fitness shoot to a whole new level. What strategy or tip do you use to stick to your fitness goals? Alicia Murphy is a fitness expert for people who want to take their health to a new level by training their stress response. Through her totally addictive HAPPYness Hours, free challenges + virtual programs, she’s here to help you shake up your approach to stress—and learn to use it as a tool to achieve your goals. When she’s not coaching, you can find her running on the beach, hanging out at Disneyland with her son or indulging in sips of wine. Meet Alicia + transform stress into your SUPERPOWER at StressMonkee.com. Let’s be real…Monday is the one day that almost everybody dreads. It’s the day we get back to work, the day we go back to school, or it’s our day back from an amazing weekend. I will be the first one to admit this. It’s hard to find the motivation to get yourself to get to the gym, to go for a run, or even to do anything that’s active. I can honestly say it’s tough for me! Yet, staying in shape is something we must do. Here’s the trick. Take it in intervals. For example, if my normal routine is to run 4 miles, maybe I can start my Monday by running 1 mile. If I normally do 100 sit ups, maybe I’ll do 50 on Monday. Doing something is better than nothing. Exercising doesn’t always have to be going to the gym or going for a run, either. Participating in group activities such as swimming, hiking, biking, or even dancing are all great. It’s important that you have fun doing it! For me of course, it’s boxing. Boxing is a total body workout and also relieves stress on that big punching bag! Be sure to remember that boxing exercises are just for a workout. So don’t punch a person! 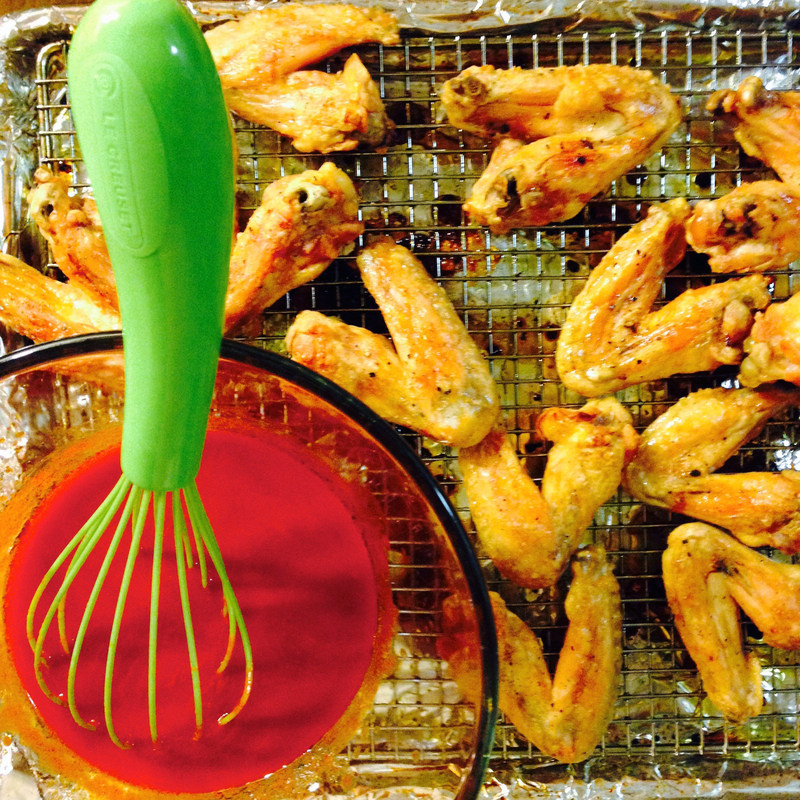 Of course, working your way into a Monday activity doesn’t just apply to exercising either. Mondays are tough regardless. It can be tough to get yourself back into work, back into school, or anything that involves getting out of bed! The one thing that we must do is to again, ease into it. After a long weekend, it’s easy to feel like you’re behind. You may have hundreds of emails to go through, piles of work on the desk, or several meetings to attend to. In life, just like in exercise, it’s important to take breaks once you start to feel overwhelmed. Just a quick break can increase your productivity and decrease any mistakes you may make or fatigue you feel! It definitely helps when you have a trainer* to motivate you and watch your form. Form is very important when cross training in exercises such as Pilates which helps to keep my core strong! Another reason to motivate yourself on Monday is because a healthy and active lifestyle reduces your risk of cardiovascular disease and reduces your risk of type 2 diabetes. I grew up seeing my dad and my friends struggle with complications of diabetes, and it’s important to fight it in any way that we can. My Foundation, The Sugar Ray Leonard Foundation, is committed to funding research and creating awareness for pediatric type 1 & 2 diabetes. We also strive to support programs that help children lead healthier lives through diet and exercise. Of course on Monday, and every day, comfort is extremely important to me. Wearing appropriate clothing and having comfortable shoes makes it easier to get through any day or activity. That’s why whenever I exercise, I always wear my Skechers. Skechers keep my feet comfortable and it allows my body to do and handle more. Monday can set the tone for your entire week…let’s all try to start the week out on a good note! 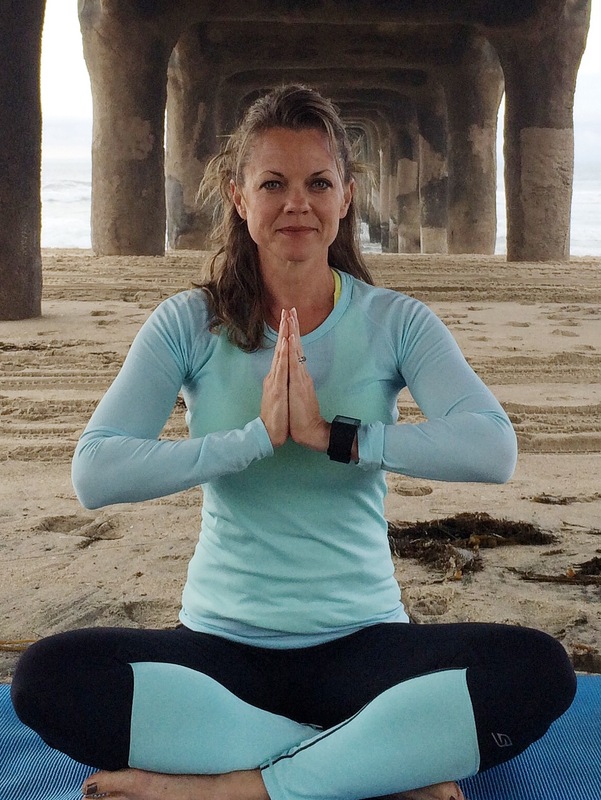 *Featuring Pilates Instructor – Sarah Beardsworth from The Cypress Centre Pacific Palisades. The Skechers Performance Los Angeles Marathon booth at the Health and Fitness Expo in Los Angeles. It’s a great feeling to walk the streets of Los Angeles and watch the city prep for its biggest race weekend of the year: banners, stands and barricades stretching for miles, readying for tens of thousands to run, cheer and celebrate the greatest in the sport. And the weekend didn’t disappoint. First off was the Rio Trials on Saturday, where our Skechers Performance elite athlete Meb continues to redefine the boundaries of greatness in his sport. Meb joined the Rio team with an incredible second place finish of 2:12:21 and set a new American Master’s marathon record in his custom Skechers GOmeb Speed 3 – 2016 shoes. Meb will be the oldest marathoner in US history to ever compete at the Games, and the only one to qualify four times. Skechers Performance elite athlete Kara Goucher also continued to rally a huge following with her incredible comeback, making the team as an alternate marathoner. Altogether, we had an incredible 27 elite Skechers Performance athletes competing in the Trials. And on Sunday, the first ever 2016 Skechers Performance Los Angeles Marathon launched – along with its own storybook ending. 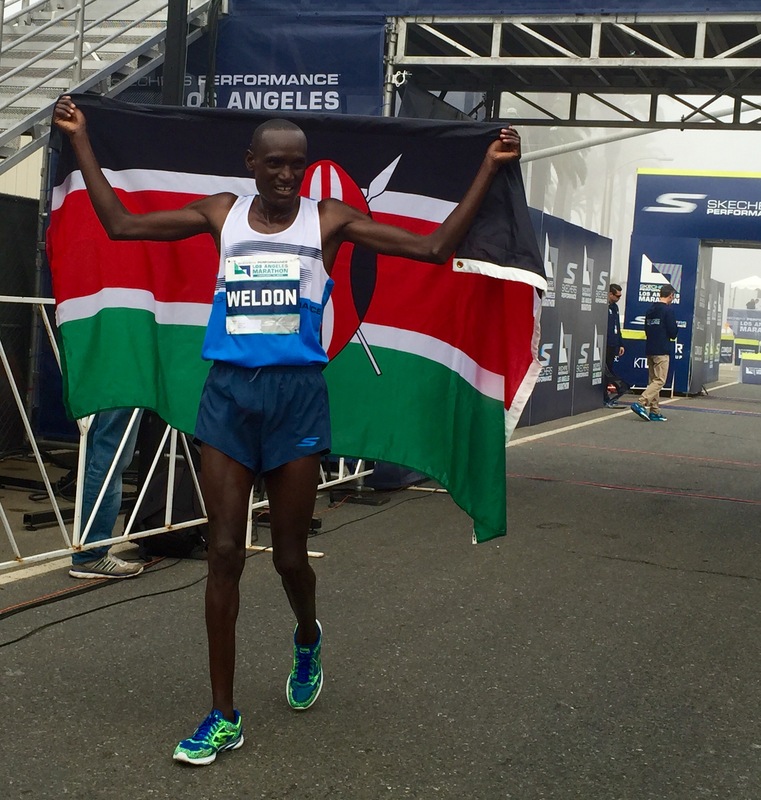 Avid Skechers Performance runner Weldon Kirui flew in from Kenya and incredibly, his airline lost his luggage – which for many of us, would have been our worst nightmare. As serendipity would have it, Skechers Performance happened to title sponsor the event – and promptly brought him a replacement pair of Skechers GOmeb Speed 3 – 2016 running shoes, in which he came in first, winning in 2:13:06. We are thrilled and honored to partner with so many incredible runners and athletes who continue to choose greatness every day to reach new heights in their sport. We look on to Rio and beyond for many more incredible triumphs in store for our elite Skechers Performance team. Get ready, Lovatics, because here it is–the latest Skechers commercial starring Demi Lovato for the all new Skechers Burst high-tops collection! It features cool fashionable sneakers with Air-cooled Memory Foam that offer comfort in every step and a brand new sleek silhouette for a brand new you. These cute and fun must-have demi boots (get it?) are filled with personality and will be the essential way to rock your #SkechersDemiStyle look this spring. Now that you’ve seen what went into creating the spot, preview the final commercial starring Demi right here! 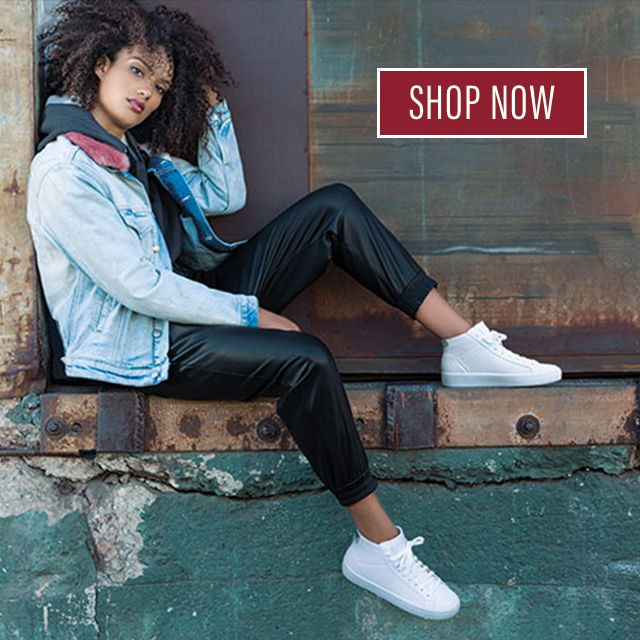 Check out our website now to find your perfect Skechers Burst look from the #SkechersDemiStyle collection. Plus, tell us what you think of Demi’s new commercial in the comments! And there’s always more in the works with Demi—she has a second new commercial coming later this year—more on that one in the months ahead! 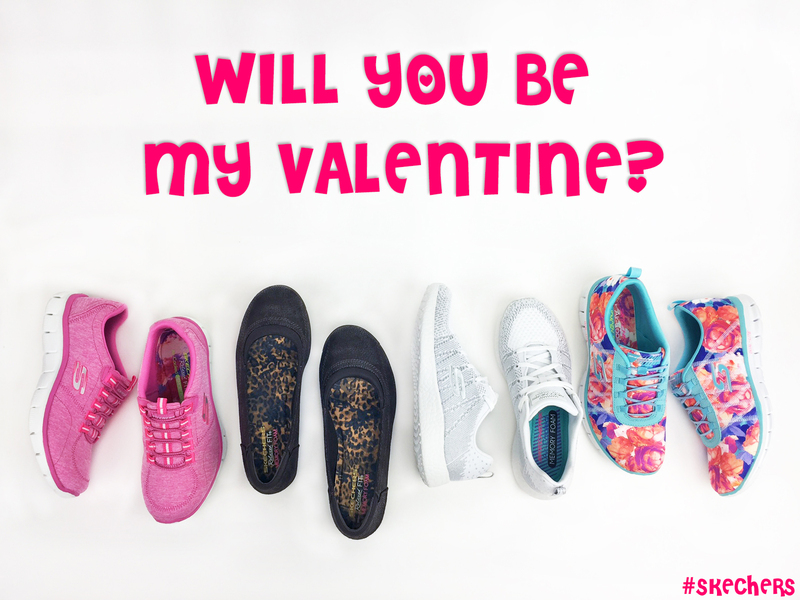 With the annual holiday that celebrates those in love or yearning for love only a few days away, we thought it would be a great opportunity to share how a few of our popular Skechers women’s styles easily pair with classic ideas for gifting your Valentine. Candy message hearts have been a yearly Valentine’s Day treat for decades. Each one printed with words that read “kiss me”, “true love”, and the always classic “be mine” offer a cute way to share your feelings that you might otherwise not be able to say out loud. The Relaxed Fit Empire—Heart to Heart style in pink matches up perfectly with the fun and flirty little pastel sweets. They say that diamonds are a girl’s best friend, and Valentine’s Day is as good a time as any other to express the desire to take that relationship to the next level. Of course when it comes to diamonds, it’s not the size of the rock that matters, but the shine of the bling. The new Burst—First Glimpse in silver and white offers bling in spades with a crisp and cool design that’s befitting any potential spouse. And no matter what the cut of the ice may be, these shoes are sure to complement perfectly. The real question is…are you ready to commit? Diamonds, after all, are forever. While flowers may certainly be a reliable standby expression of thoughtful love, going with something other than the standard red roses says there was actually some legitimate thought put into it. When thinking outside the box, possibilities are endless and personality is sure to come through to your Valentine. The slip-on Glider—Posies with an aqua and flower patterned upper design is also high on personality by expressing that halfway through February, you’re already thinking about spring. 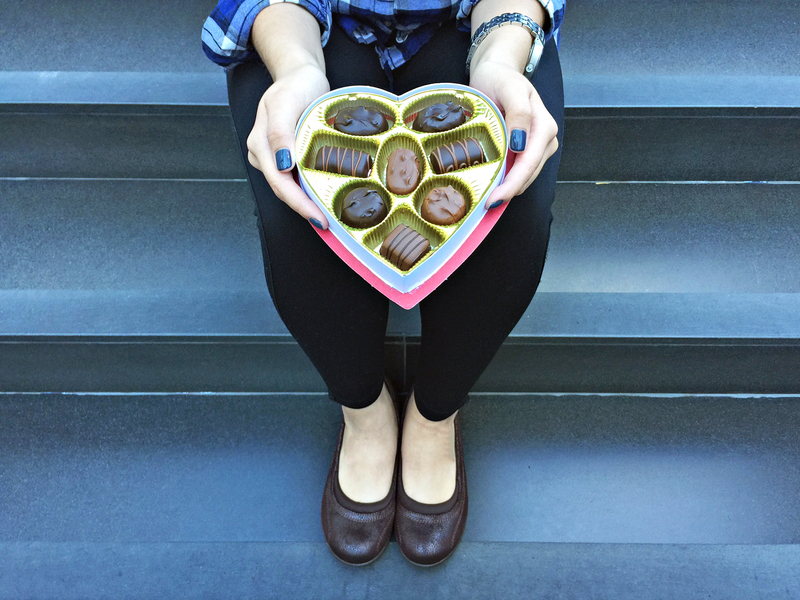 From drug stores to grocery stores to department stores, every retailer is hawking heart-shaped boxes of chocolates this time of year—it’s unavoidable! Cut through the clutter and this perennial gift can still be a winner with a few tips. Go with a small box—no one wants 40 chocolates calling them to eat more—and go with something high-end because an exquisite exotic and sensual piece of dark chocolate is worth an extra ten minutes on a treadmill. The comfortable Relaxed Fit Career—First Impression follows these same rules as it offers a simple and polished profile but is constructed with luxurious distressed leather. How will you express yourself to your special someone this Valentine’s Day? Let us know in the comments! On Kingston and Kai: Skechers Kids – Neutron in Gunmetal/Blue and Black/Silver. For many little ones, one of the classic rites of childhood is sibling rivalry: whether it’s taking each other’s toys or too much space in the car, kids find all sorts of creative ways to battle. Fortunately, there are just as many ways parents can encourage them to think less like warring brothers and sisters, and more like BFFs. Get them to realize that they can be powerful contributors to their siblings’ lives, and each other’s greatest sources of comfort. Did your sister ace a test today? Celebrate it. Does your brother want his door closed? Respect it. Sharing is caring! Reject hitting and rudeness, and ask how they can solve their own conflicts (a great tool for grown-ups as well). How do you keep the peace at home? Tell us in the comments!